Cut shapes out of small apple slice to make turkey€™s beak and wattle. 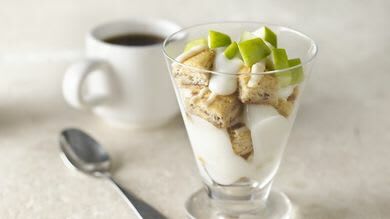 Arrange pear and apple slices around yogurt cup for feathers. 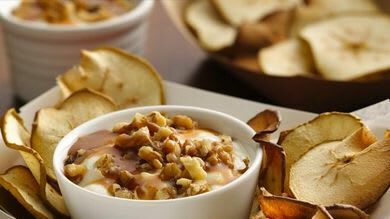 Place pear slice on top of yogurt cup. 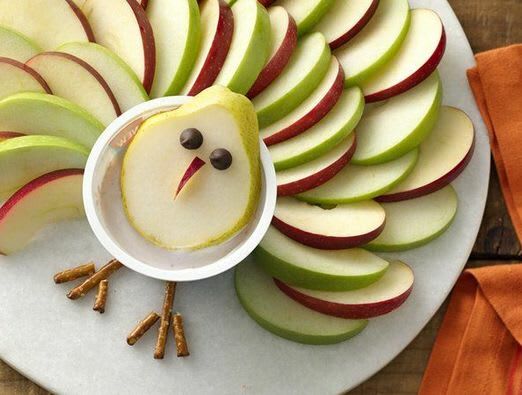 Garnish with apple pieces for beak and wattle, chocolate chips for eyes and pretzel sticks for legs. 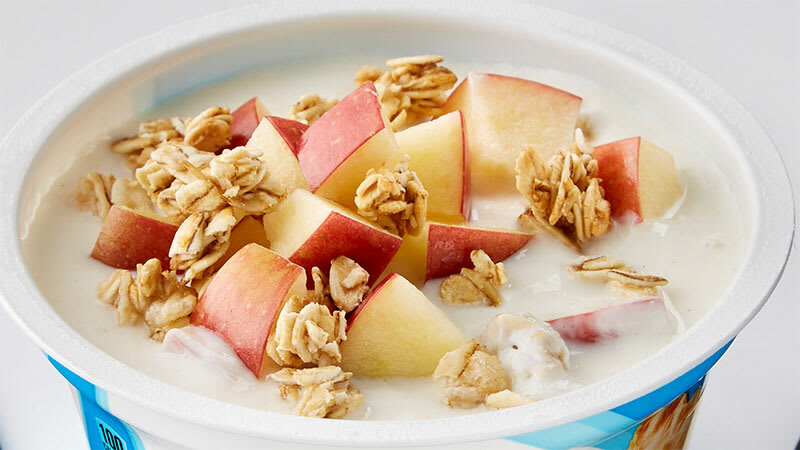 For a more decorative display, spoon the yogurt from the container into a small bowl.